We offer our clients with an unmatched range of Aluminium Alloys. These are used in various industries to manufacture different types of products and are offered in accordance with the international quality standards. Our range is also offered in customized specifications to meet the client's requirements. We offer our clients with a qualitative range of Ferro Aluminium. These alloys are best suited for diverse industrial usage. 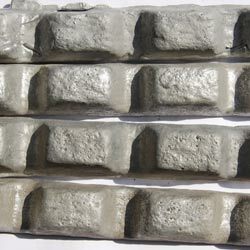 This alloy is a combination of iron and aluminum that is melted and mixed together. 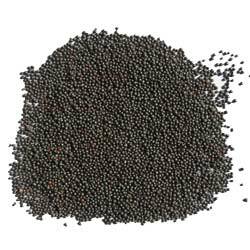 Our range is used as de-oxidant in steel making, wherein the concentration of aluminum can vary to cater varied requirements of our clients. Aluminum Notch Bar Alloys offered are made available by us in specifications of Al: 96% min, C: 0.1% Max, Si: 0.3% max, Mn: 1% max, Fe: 1% max, Ti: 0.05% max, Cu: 0.2% max, Zr: 0.1% max, Mg: 2% max. These are available in size of 6" and in weight of 600 gms approx. Made available in packaging of 50 kg bags, it has its origin in India and are made available in options including customized, obsolete, prototype aluminum and aluminum alloys. 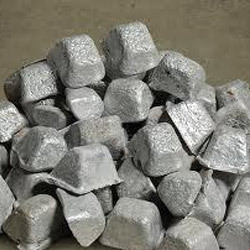 Further, we also ensure that all aluminum products are also of pure aluminum grade comprising 99.99%, 98.99%, 97.99% and deliver optimum functionality support as de-oxidant agents in steel as well as foundry Industry. Some applications these are used in include Casting process, as de-oxidizer in Steel & Foundry, in Marine and Automobile Industries. Aluminium Shots offered are made available by us in specifications of Al: 96% min, Cr: 0.1% max, Si: 0.3% max, Mn: 1% max, Fe: 1% max, Ti: 0.05% max, Cu: 0.2% max, Zr: 0.1% max, Mg: 2% max as well as in size of 2-5mm. Made available in packaging of 50 kgs Bags, its origin is from within India. Here, aluminum works as de-oxidizer in steel melting. Further, use of aluminum shots is casted finish removing cleaning, blemishes and providing proper finishes to the surfaces. Further, it also supports removing of rust and is made available in different working and also strengthening before involved painting process.